The Cordwheel® NSN 8130/661533558 is a heavy duty, lightweight and ergonomic hand held cord reel in use by Defence. The Cordwheel is used within four complete equipment schedules across Army, Navy and Air Force as a cable reel, rope reel, hose reel, tape reel and wire reel. 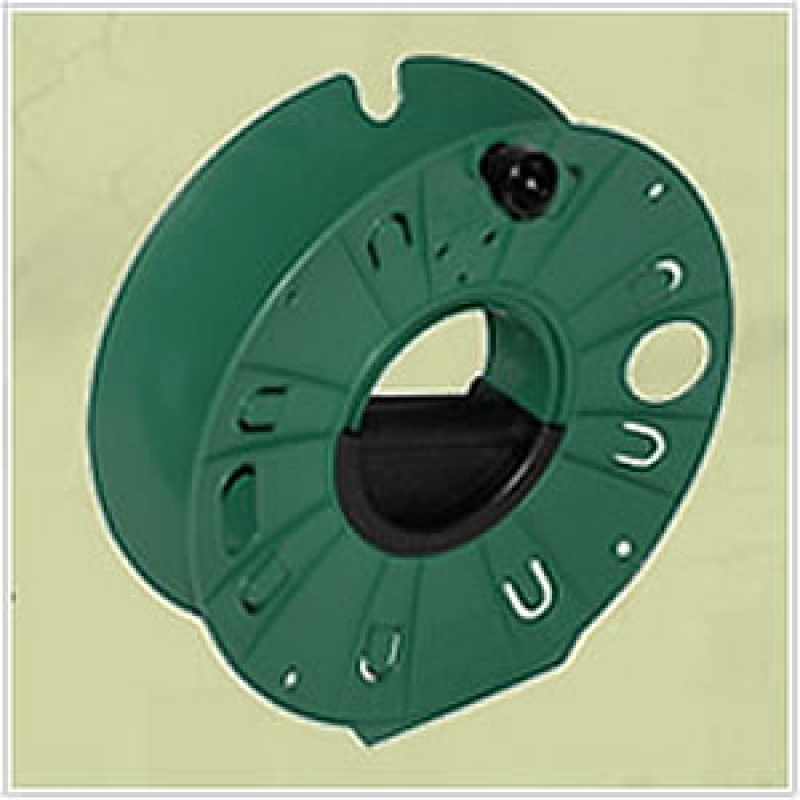 It is used for deployment, retrieval and storage of many coil-able products. The Cordwheel is also in use as an Emergency Services cord reel, Homeland Security cord reel and Industry as a cable reel, rope reel, hose reel, tape reel and wire reel. OH&S deployment as a detonator cord reel, firing cable cord reel, BA hose cord reel, power supply cable cord reel, extension cord reel, earth leakage cable cord reel, barrier tape cord reel, NDT tape cord reel, rope cord reel, hose cord reel and wire cord reel. Cable Management of Communication and Data cables including Don 10 cable, WD-1/TT cable, WD-1A/TT cable, WF-16/U cable, WF-8/G cable, Cat 5 cable, Cat 6 cable, Cat 7 cable, Optical Fibre cable. Cable Management of Explosive Ordnance Disposal (EOD) cables including Firing cable, Black and Tan, AWG number 18 and Lead in line. Detonator cord, Life line. Cable Management of Audio/Visual cables including Belden 1304A, Belden 1305A, Belden 8412, Belden 1192A, Roadworx RW200120, Roadworx RW20SQ24, Belden 9259, Roadworx RW400122, Belden 1505F, Belden 1694F, Belden 1904A, Belden 1908A. Cable Management of Power supply cables, Compressed air hose, BA hose, Fire hose, Rope, Barrier tape, NDT tape, Chain and Wire, Sub Station safety marking rope holders, test cables and safety ropes. The Cordwheel has a unique design which allows reels to be stacked together for cable management and transport in boxes and racking for storage. When stacking reels, do not fill spool above winder knob cut out (h).